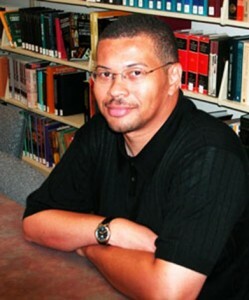 Dr. Vincent Bacote is an Associate Professor of Theology and the Director of the Center for Applied Christian Ethics at Wheaton College in Wheaton, IL. He is the author of the The Spirit in Public Theology: Appropriating the Legacy of Abraham Kuyper (2005), and has contributed to books including On Kuyper (2013), Aliens in the Promised Land (2013), Keep Your Head Up (2012) and Prophetic Evangelicals (2012). He is a regular columnist for Comment (wrf.ca/comment) and has also had articles appear in magazines such as Books and Culture, Christianity Today, Think Christian and Re:generation Quarterly and journals such as Christian Scholars Review, Urban Mission and the Journal for Christian Theological Research. Heis a member of the Evangelical Theological Society and the Society of Christian Ethics. He resides in the Chicago area with his family. Make checks payable to College Hill RP Church. Registration forms are due by Friday, October 17, 2014.